But [the Lord] in his turn vanquished death through his great cry when he had gone up on the cross. 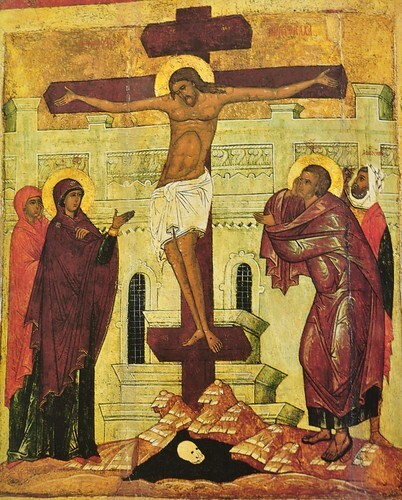 Whereas death was binding one person on the cross, all those who had been bound in Sheol were being delivered because of the chains of one person…his hands, which delivered us from the bonds of death, were transfixed by nails, his hands which broke our chains and tied those which were binding us. 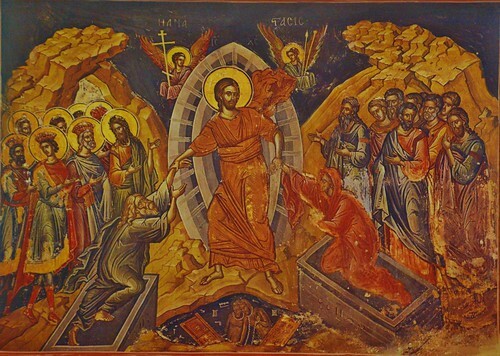 [Death] stole him, took him away and put him in the tomb while he was asleep, but, on awaking and standing up, he stole his stealer. This is the cross which crucifies those who crucified [the Lord], and this is the captive who leads into captivity those who had led him into captivity. 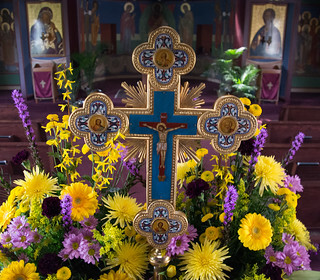 The cross, through your death, has become a fountain of life for our mortal life…death used his body to takest and devour the life hidden in mortal bodies What it had hastened to gulp down while famished it was forced to restore very quickly…he commanded the stones and they were split in two. [He commanded] death and it did not prevent the just from going forth at his voice. He trained the lower regions to his voice to prepare them for hearing it on the last day, when this voice will empty [the lower regions]. All of the 2018 posts related to Holy Week have been gathered into one PDF and can be viewed at 2018 Holy Week PDF.